The Recreational Boating & Fishing Foundation (RBFF) recently unveiled the new Take Me Fishing site. 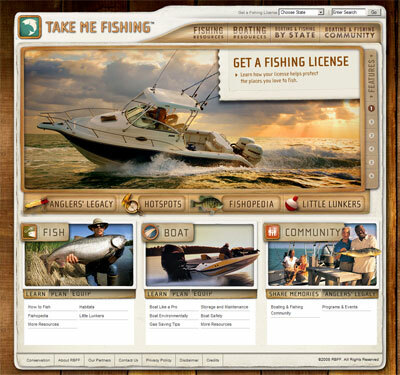 As part of the new Take Me Fishing campaign, the new site is designed to increase participation in boating and fishing. TakeMeFishing.org is designed to be an ideal online destination for boaters and anglers of any age or experience level. Visitors can find the right boat, learn the A-Zs of fishing, and search through 12,000 locations for boating and fishing and map out how to get to each destination.